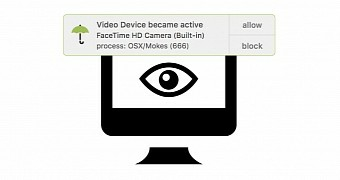 Security Update : Patrick Wardle, a renowned Mac security expert, has released this week a new app called OverSight that will alert users whenever malware, or other legitimate processes, try to access the computer’s microphone or camera. The expert says he created the app as a way to fight back some of the sneaky tricks malware is employing on macOS devices in order to spy on users. He cites past Mac malware such as the Crisis, Eleanor, and Mokes families as potential threats that OverSight could stop.